Representative Honours: Northern Ireland: Under-21, 5 Under-19 Caps, 1 Under-17 Cap, 7 Under-16 Schoolboy Caps. 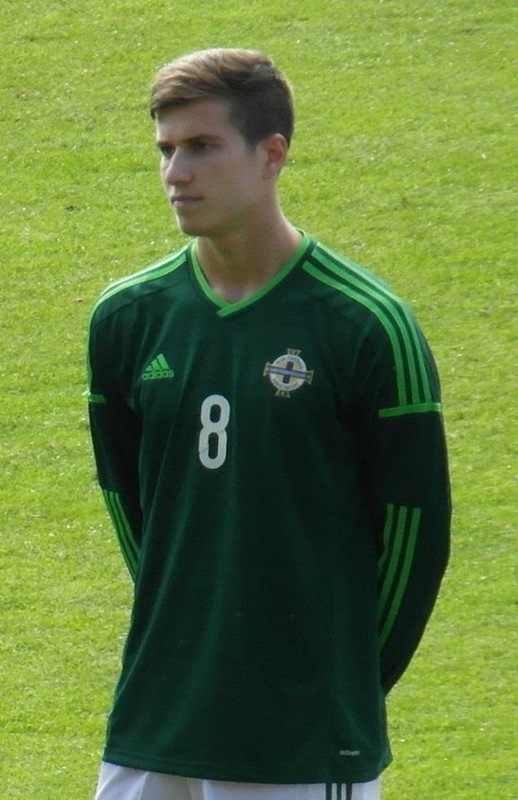 Paddy McNair joined Manchester United as a sixteen year-old midfielder in 2011. He was converted to defence when the reserve team where short of players and was promoted to the firstteam squad for the first time in August 2014 when he was an unused sub in a League Cup tie at MK Dons. Just a few weeks later he was again thrust into action due to a shortage of players, starting in the centre of defence for a Premier League match against West Ham at Old Trafford where he put in a man of the match performance in a 2-1 win. In addition, he has also featured at right-back for United's first team. 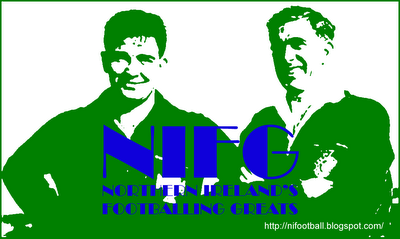 To date McNair has mostly seen action in midfield for Northern Ireland's age-group teams. He received his first senior call up in November 2014, shortly after his breakthrough at Old Trafford, and was an unused substitute against Romania. He made his senior international debut the following March at right-back in a friendly against Scotland and added a second cap as a midfield against Qatar in May. With Conor McLaughlin suspended for the key Euro 2016 qualifier against Greece, McNair played at right-back in a 3-1 win and retained his place for the following match against Finland. Throughout the build-up to the 2016 European Championships in France Michael O'Neill employed McNair in a variety of positions, mostly in an eclectic mix midfield roles, both attacking and defensive. He started the opening match of the tournament against Poland, but was one of the victims of an unsuccessful tactical try-out that led to an underwhelming 1-0 defeat. His only other outing in France was as a late sub in the 2-0 win over Ukraine. Back at Old Trafford there was upheaval as Louis Van Gaal made way for Jose Mourinho, a manager renowned for not giving young players a chance. McNair was allowed to leave for Sunderland in a combined deal with Donald Love valued at £5.5 million, though the majority of that was apportioned to McNair. At the Stadium of Light he teamed-up with ex-United boss David Moyes.